India’s Union Cabinet has given its approval for a cooperation agreement between India and Denmark on strategic sector cooperation in the field of renewable energy with a focus on offshore wind. 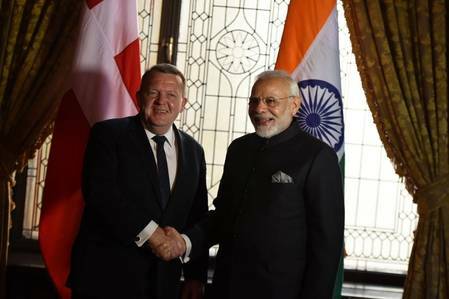 According to a government release, the Cabinet, chaired by the Prime Minister Narendra Modi, has given its approval for a Cooperation Agreement between Ministry of New and Renewable Energy of India and Ministry for Energy, Utilities and Climate of the Kingdom of Denmark on strategic sector cooperation in the field of Renewable Energy with a focus on Offshore Wind Energy and a Letter of Intent to establish an Indo-Danish Centreof Excellence for renewable energy in India. The objective of the Cooperation Agreement is to promote cooperation between the twocountries in the field of renewable energy with special focus on Off-shore wind. The Indo-Danish Centre of Excellence in Integrated Renewable Power would work on Renewable energy resource assessments with focus on onshore and offshore wind; Hybridisation of wind, solar, hydro and storage technologies; integration of renewable energy inch high level of wind energy, Testing and R&D; and skill development / capacity building. The signing of the documents will help in strengthening bilateral cooperation between the two countries. India has established a goal of having 5GW of operating offshore wind capacity by 2022 and as much as 30GW by 2030.